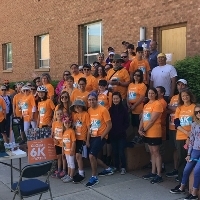 Walk, run, or push a stroller with us at the World Vision Global 6K for Water on May 4, 2019. Each $50 registration provides lasting clean water to a child, like the child on your race bib! Register to walk with us, or click donate to help out as you can!